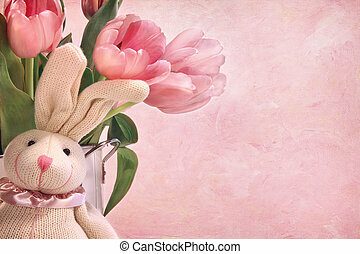 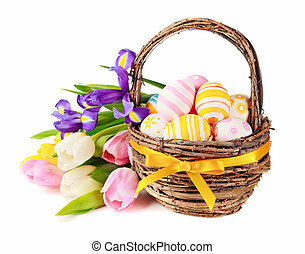 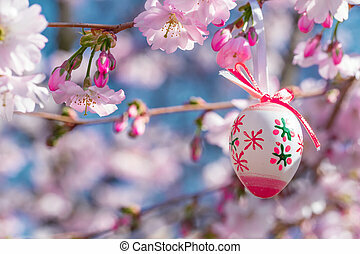 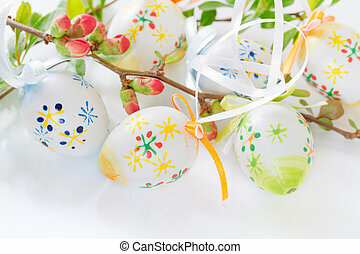 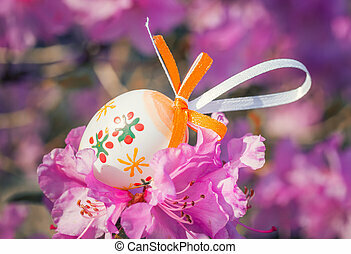 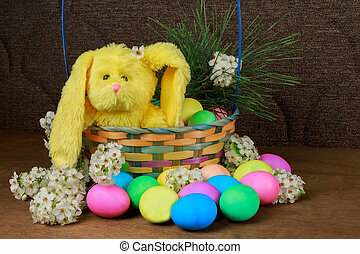 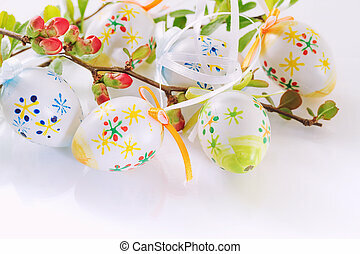 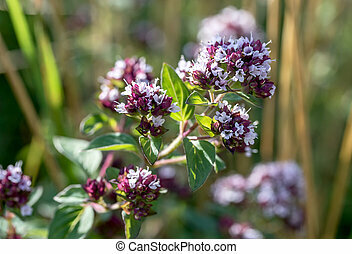 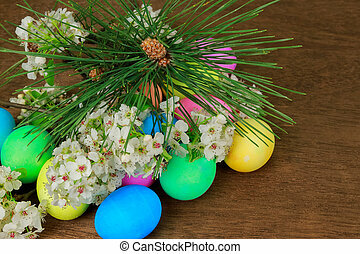 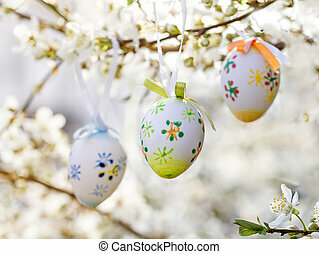 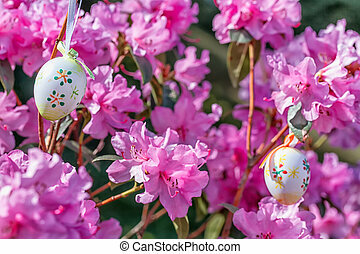 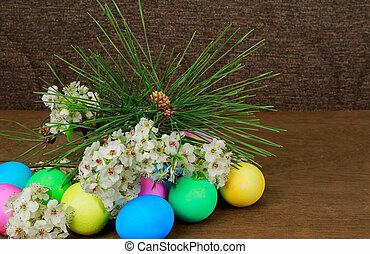 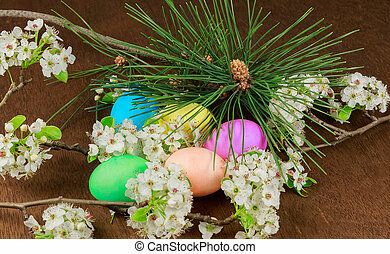 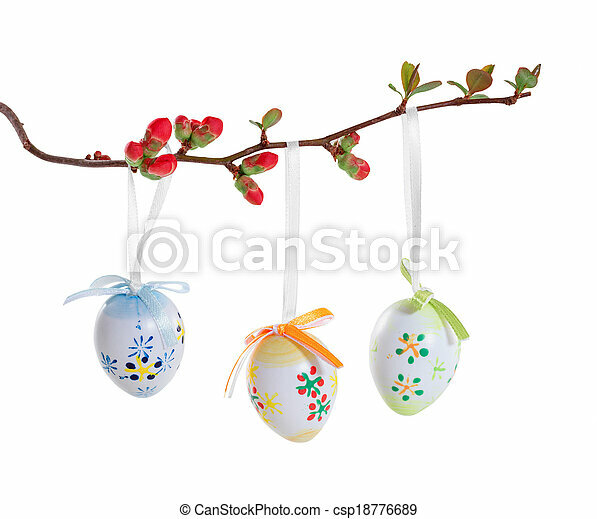 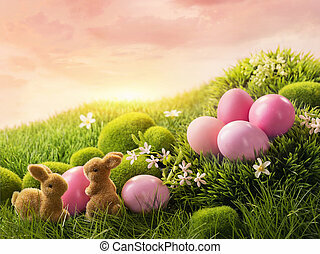 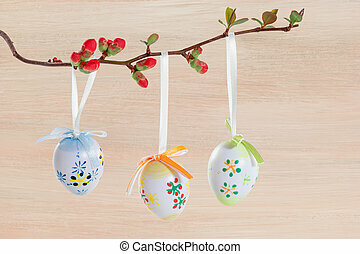 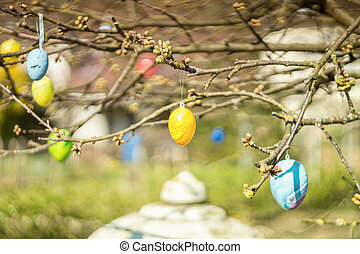 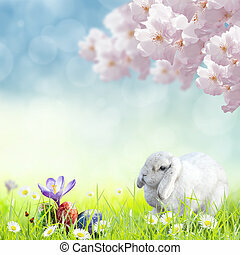 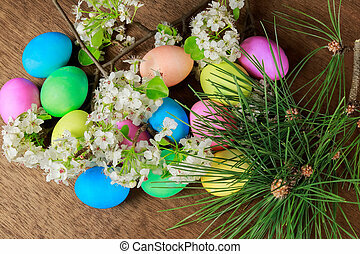 Easter eggs on a flowering branch. 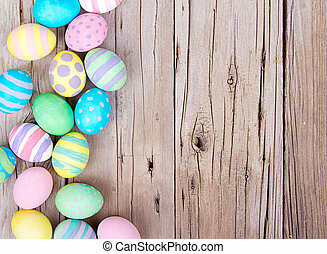 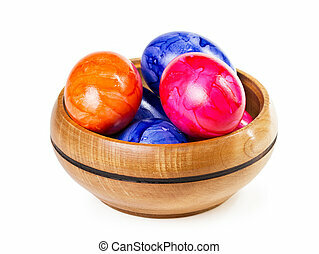 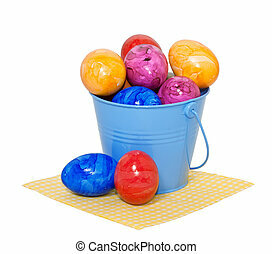 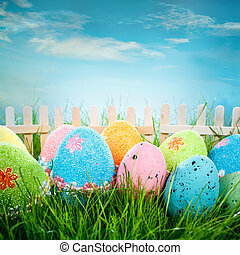 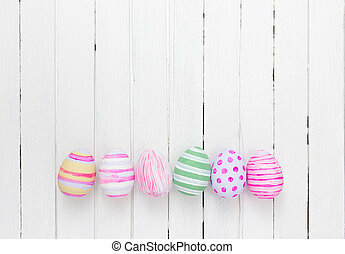 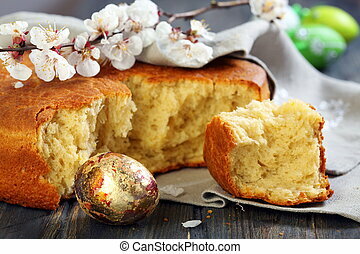 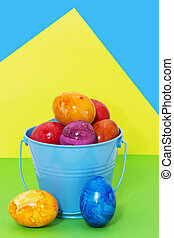 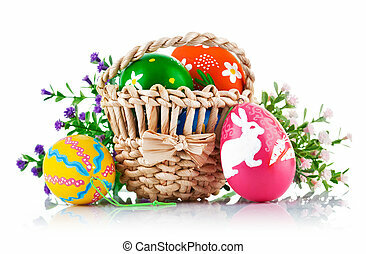 Italian Easter bread and painted eggs on a wooden table. 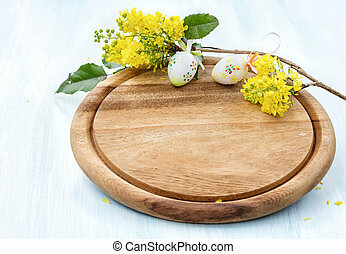 Cutting board with a blossoming branch and easter eggs. 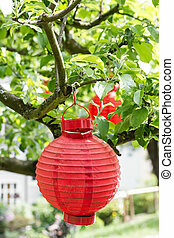 Red lantern on a tree branch.